The Standing Stone: St. Molua's Trough, Ballinla, Co. Laois. 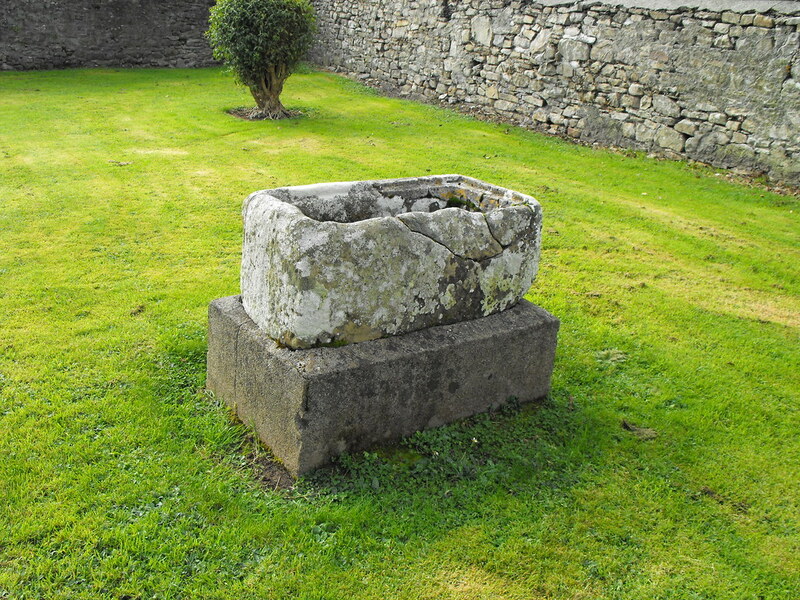 St. Molua's Trough, Ballinla, Co. Laois. 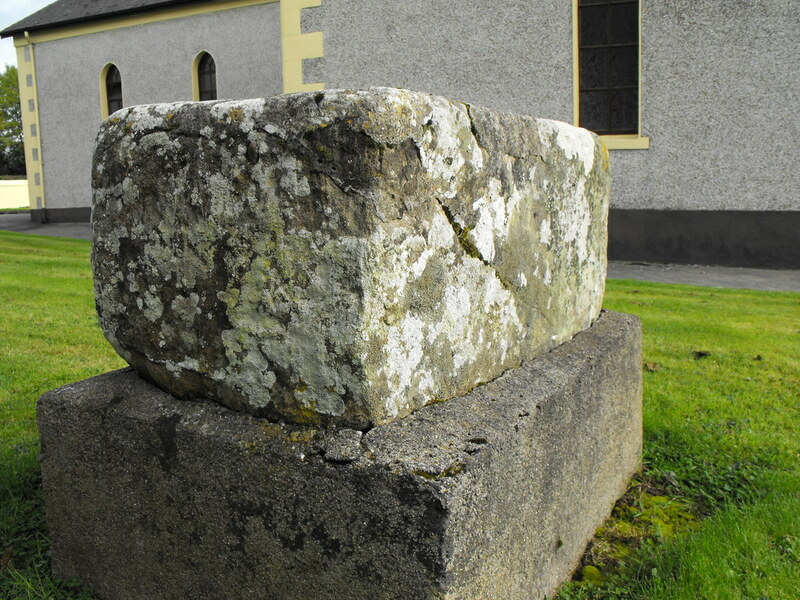 Location – In the grounds of Ballaghmore church to the right of the main entrance. More detailed co-ordinates to follow. Description and History – This trough was originally located at Old Kyle Cemetery under a now missing rag tree. It is unsure entirely what this originally was. 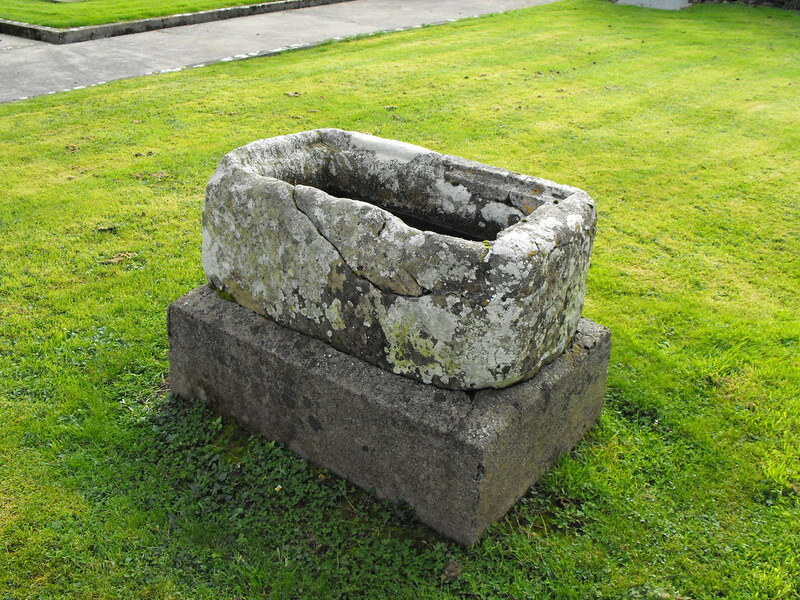 The trough measures roughly 1m by 0.5m and is 0.4m deep and is missing a lid although it does appear as if there was originally one as the stone is lipped to accommodate a lid. There is no water outlet for this trough so it is unlikely that it ever actually served as a trough at all. It is more likely that it was some kind of relic box belonging to the nearby church foundation. However, if it did ever belong to St. Molua there is no real evidence beyond the name of the trough. Difficulty – Easy to find with plenty of parking next to the church. For more sites in Co. Laois, click here.